Notes: 1 silver albumen print; 21 x 31 cm. 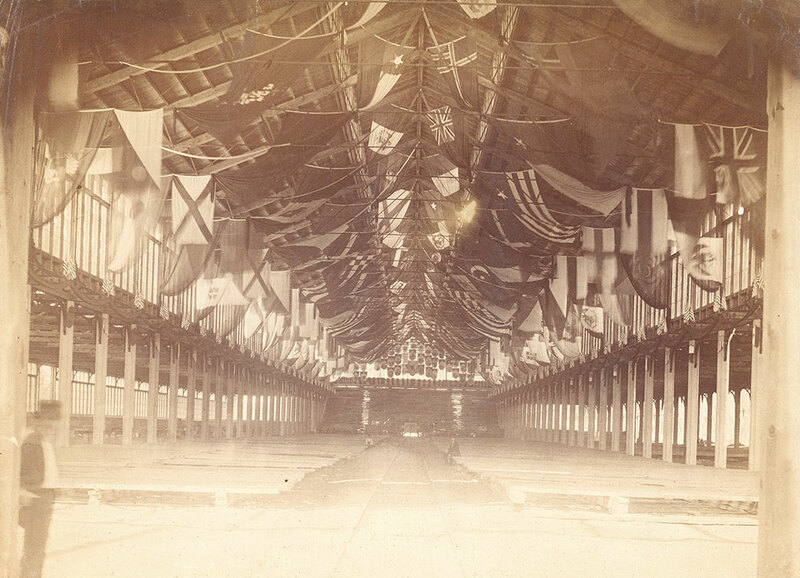 Notes: Interior of unidentified Centennial Exhibition building during construction. Banners and flags hanging from rafters. Two men seated on beams lining the floor, one man standing in foreground.